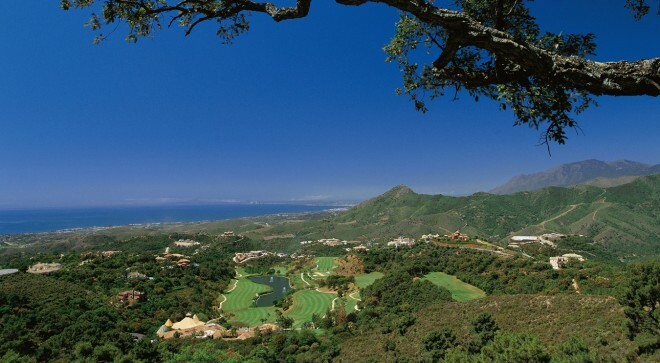 Two beautiful private golf courses : La Zagaleta and Los Barrancos ! It is probably the dream of every golfer to get a chance to tee-off at one of La Zagaleta's beautiful private golf courses (La Zagaleta and Los Barrancos). Without a doubt, one of the major attractions of La Zagaleta is its private golf course, created and designed by the Californian architect Bradford Benz. Whilst designing a unique 18-hole golf course, absolute priority has been given to preserving the natural surroundings and wild beauty. This has been the main objective of this prestigious American designer in tackling the La Zagaleta challenge. The golf course offers an exciting round of golf that leads through cork trees, valleys and mountains on the north part of the estate, where many animals that have their habitat here observe us while we play. Nearby, several holes run along the flow of fresh streams surrounded by exuberant local flora. You can enjoy the sound of flowing water and the pleasure of many peaceful moments in these natural surroundings.